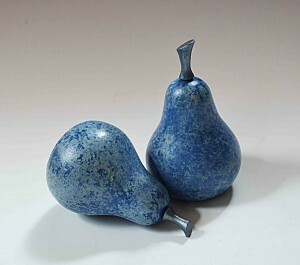 After the surprise of the blue pears, I took a more hopeful look at using blue colors on wood. 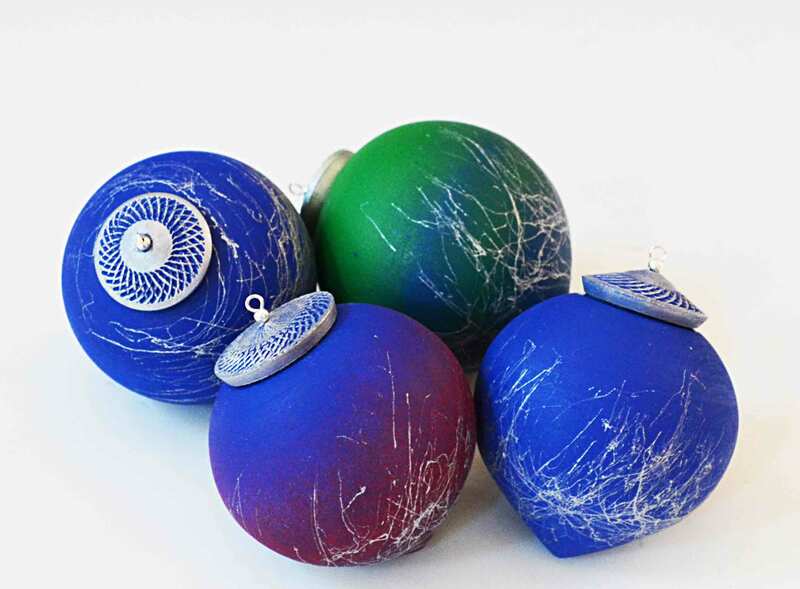 The only drawback to these ornaments is that they may require a silvery tree, or maybe some very blue lights on a green one. I am looking forward to seeing how the colors respond to the LED Christmas lights. I have always thought the LED colors were somewhat cold. Like outer space. Like interstellar space…. I was inspired by Merryl Saylan to use milk paint on wooden fruits. It is a self-priming paint that can be applied in layers and cut back with sanding. Federal Blue was not on my list of likely colors for pears. These have a blue base, with some blue mixed with buttermilk sponged on top. Amazingly, the blue and yellow paints did not combine to form green. I liked the frosty feeling, so I used a pewter metallic paint for the stems. Thanks to Merryl for the suggestion, and to Ben at Woodcraft for giving me a sample of Federal Blue traditional milk paint!